← Welcoming our newest member: Julianna Hessel! Public Workshop Recap – Thank you, attendees! 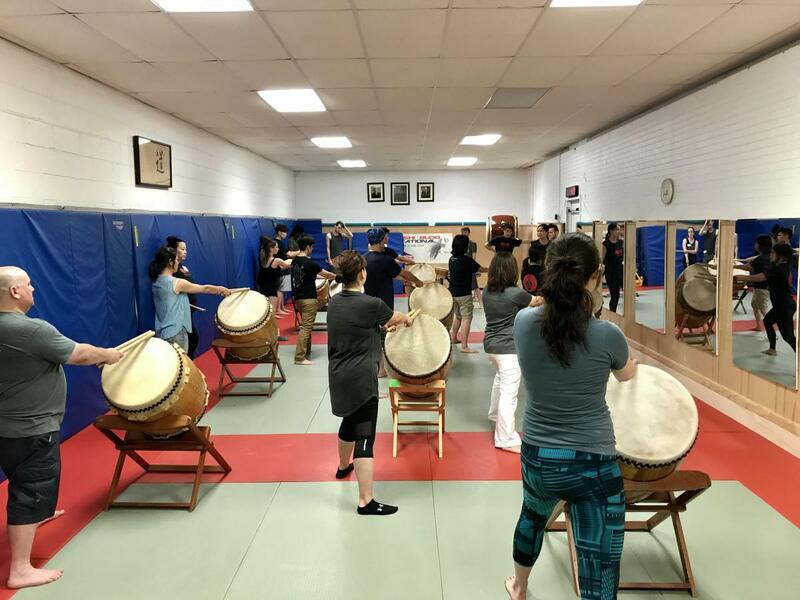 Yesterday, the New York Buddhist Church dojo was packed full of individuals eager to learn about taiko and get a glimpse at the lives of Soh Daiko members. We are soh thankful to everyone for their interest, enthusiasm, and support of this art form. It was a wonderful learning experience for all involved, members and participants alike! The day started with a brief introduction to the history of taiko as a whole, with particular focus on the evolution of North American taiko and the almost 40-year history of Soh Daiko, followed by an equipment session where we explained the process for building drums from wine barrels that has been passed down throughout Soh Daiko’s generations, as well as an overview of the other types of drums and instruments we use in performances. With a base understanding of drums and kuchishoga, participants were introduced to naname form and technique, taught select patterns from Matsuri Daiko, and given a primer on building a stage presence. 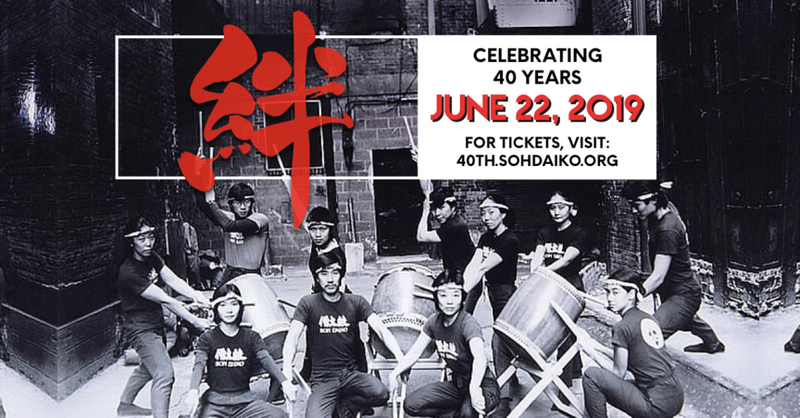 They were then encouraged to hone their abilities through team collaborations, with participants being given the opportunity to perform in a variety of settings; these included performing the patterns together in small arrangements, performing short solos within these arrangements and encouraging one another with kiai and body language as solos passed around the room, and culminated in a full-group jam with Soh Daiko members joining in on the fun. We would like to take this opportunity to directly thank everyone for joining us. It is always a rewarding experience to see the energy and positivity our local community emits when given the opportunity to engage with taiko, and an inspiring reminder about why we do what we do. Your determination, perseverance, and joy help strengthen our resolve to continue growing and sharing with those around us, and we hope to see you all again at future events!